The Palisades Cares’ annual Toy Drive, which kicked off Nov. 30, will be collecting new toys and books for children living in poverty through Dec. 16. Local drop-off locations include Tallula’s, CVS, Regal Cleaners, Palisades-Malibu YMCA and Vittorio’s Ristorante. The toys, which Palisades Cares has requested for ages 4 to 18, will be donated to two organizations: One Voice-LA and Happy Trails for Kids. 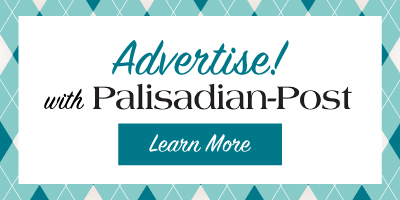 For more information, contact Marie Steckmest with Palisades Cares at info@palisadescares.org. Returning to Pierson Playhouse for the 20th year for a three-night performance is “What Lies Beneath,” a Christmas play written by Palisadian Pamela Sommer. The Lighthouse Church, a school and church located in Santa Monica, of which Sommer has been a teacher and a member, will perform the play. Performances run Dec. 19-21 at 8 p.m. Tickets are $10. 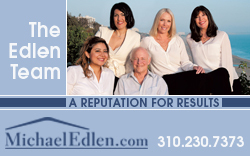 For more information, call 310-528-7672. A 34-year-old female mountain biker was rescued by the Los Angeles Fire Department on Sunday, Dec. 9, around 2:50 p.m. She suffered an injury on a trail near 2100 Palisades Court in The Highlands and was hoisted for transport to a hospital. Those who have been affected by the recent wildfires will receive a 50 percent discount on prescription lenses at Village Optic’s Palisades Village Shop. The discount will be available through Monday, Dec. 31. The full-service optical boutique for high-end frames and lenses is located at 1052 Swarthmore Ave. For more information, call 424-280-4498. Readers who would like to donate to help offset bus fare costs at Palisades Charter High School may do so through the Leaving No Student Behind campaign—which is designed to help students afford the cost of bus transportation. “We have many students who are in danger of not being able to complete their high school career at PCHS because they are unable to afford the transportation cost,” the campaign page reported. As the Post went to print, more than half of the $50,000 goal had been raised: $25,402. For more information or to donate, visit classy.org/campaign/pali-go-fund-leaving-no-student-behind/c192688.